Knowing the right time to fertilize your lawn is often regarded as the first step towards dense, healthy, lush green grass. It is also important to remember that knowing when you need to fertilize your lawn and adhering to a reasonable schedule will have all those pesky weeds not finding room in your yard. On the other hand, the easiest way to know the kind of fertilizer to use on your lawn could be conducting a soil test. With this kind of analysis, you will be in a better position to discover what could be deficient in your yard and what needs to be reduced. In this piece, we shall discuss when you should fertilize your lawn and offer some useful facts regarding fertilization. Nitrogen is arguably one of the most important nutrients to have on your lawn. Each grass type will often need different amounts of this ingredient to display peak performance and growth. And just like with your friends, you will usually handle them in very small portions of time, and the same applies to grass and nitrogen. 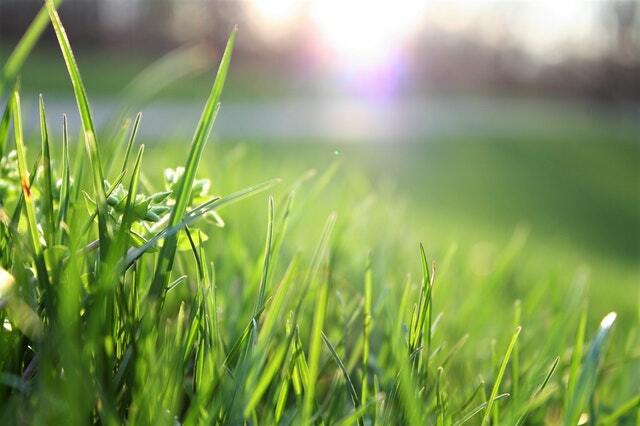 Your grass has the limit of nitrogen which it can handle. If there is excess nitrogen on your lawn, then the grass will grow tremendously fast, and you will be mowing quite often. However, the trick about a well-manicured lawn is getting lush green grass without it having to grow at an insane rate. It is all about the balance. The frequency with which you fertilize a lawn will not just affect how your lawn appears but also the level of maintenance needed. The more you fertilize, then it is obvious that you will need to mow more because your grass will often grow at an incredible rate. Every homeowner wants to hit the perfect spot where you have a green and healthy lawn without having to spend every two hours of your day outside trying to trim the overgrown grass. If you are looking to get things right, it would be advisable that you get a working schedule. One advantage of using slow-release fertilizers is that they usually break down their nutrients gradually over an extensive period thus you will have more extended periods of waiting between subsequent applications. With a slow-release fertilizer, you could go for six to eight weeks based on the frequency of watering rather than the four weeks you would go with conventional fertilizers. The key to having your slow-release fertilizer last long is adjusting your lawn watering schedule so that you do not have to water quite often. When it comes to fertilizing your lawn, it would be a terrible mistake to aimlessly through the fertilizer on the ground and expect that you will get a lush green lawn. While throwing fertilizer around could be fun for you and your family, the truth is that it will not deliver good results to your lawn. Instead of throwing the fertilizer around, you could consider using specific farm tools to spread the fertilizer. The tools you use will often depend on your type of lawn and its size. Fall is the season when the cool-season grasses usually recover from their summer stresses like disease, heat, and drought. If your lawn has not been well fertilized during the late summer and fall, turfgrass could start to store its carbohydrate reserves on the stolons, rhizomes, and stems. It is these carbohydrate reserves that will aid grass in resisting winter disease and injury in addition to serving as a source of energy for the shoot and root growth the upcoming spring. Additionally, late fall fertilization also provides better winter color, enhanced increased rooting, and spring green-up. While the actual timing could vary because of climate zones and weather conditions, the final application of fall fertilizer should be made around November. This is because this is the when grass is no longer growing or growth has slowed down to the extent of not requiring mowing. However, you should not wait until the ground freezes. Ideally, there is usually some active growing taking place although it is not sufficient to require mowing. The right timing is crucial. If the fertilizer is applied to early while garden plants or the grass is still thriving, it could invite snow mold and winter injury in the following spring. You should never apply fertilizer over ice or snow or to frozen soil. How Much Fertilizer is Required? Nitrogen is a crucial nutrient in fall fertilizers. The recommended dose for lawns is to have 1 lb. of nitrogen applied in every 1000 square feet. Alternatively, you could have 2 lb. of the slow-release nitrogen for every 1000 square feet. A fertilizer with a high ration of both potassium and nitrogen is crucial for the enhancement of cold hardiness, rooting, wear tolerance, and disease resistance. However, you should be careful when applying fertilizers with a high phosphorus content because a run-off of this nutrient could have adverse effects to streams and rivers. For instance, the acceptable fertilizer blend is one with an N:P:K ratio of roughly 24-4-12. With this kind of formulation, a small nitrogen content is immediately available to your grass while the other nutrients are slowly released thus permitting it to slowly disintegrate and provide extended feeding to your lawn grass. The recommendations for vegetable and flower gardens are quite similar. The mild fertilizer feeding during fall season will replenish your yards soil and prepare it for a fast green-up when planting starts during the upcoming spring. Most lawns and gardens have been found to do better with this kind of approach as compared to having a heavy dosage of fertilizer in the early months of spring. In conclusion, it is important to note that too much nitrogen content in your lawn could be as damaging as having too little of it. « Your Guide To Pain Relief Patches – Do They Really Work?